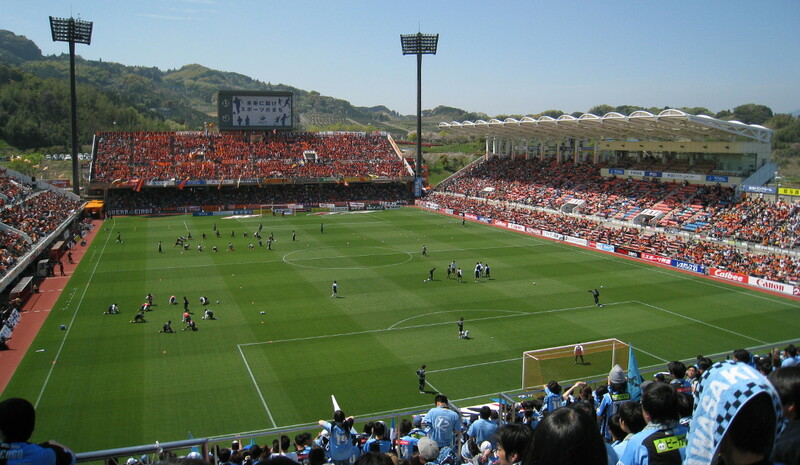 IAI Stadium Nihondaira, previously simply called Nihondaira Stadium, was built to provide newly founded Shimizu S-Pulse with a home following their admittance to become part of the J-League. 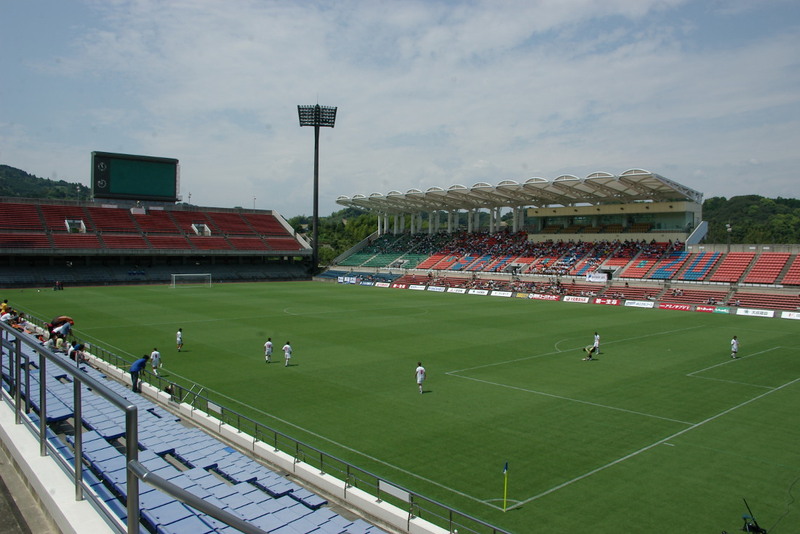 The stadium opened in 1991, but was the first two years mostly used for high school football until the J-League kicked off in 1993. The stadium could initially hold 13,000 spectators. Soon after the start of the J-League, the stadium got expanded to 18,500 seats. It underwent another renovation in 2002-2003 when it reached its current capacity of just over 20,000 seats. In 2009, the stadium changed name to The Outsourcing Stadium following a naming rights sponsorship deal. Four years later, in 2013, the stadium changed names again to IAI Stadium Nihondaira following a new naming rights deal. 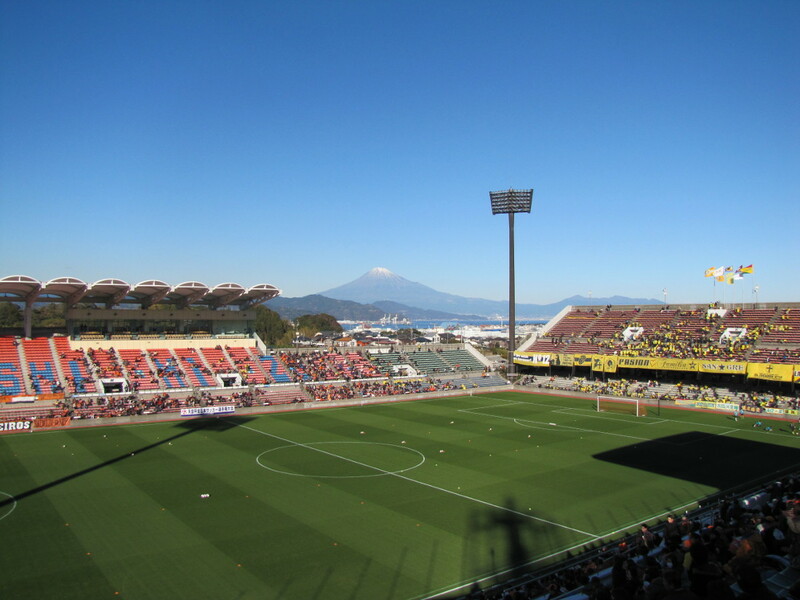 On a clear day, Mount Fuji is clearly visible from the stands. IAI Stadium Nihondaira is located in the south of Shimizu Ward, which used to be an independent city but is now part of the city of Shizuoka. 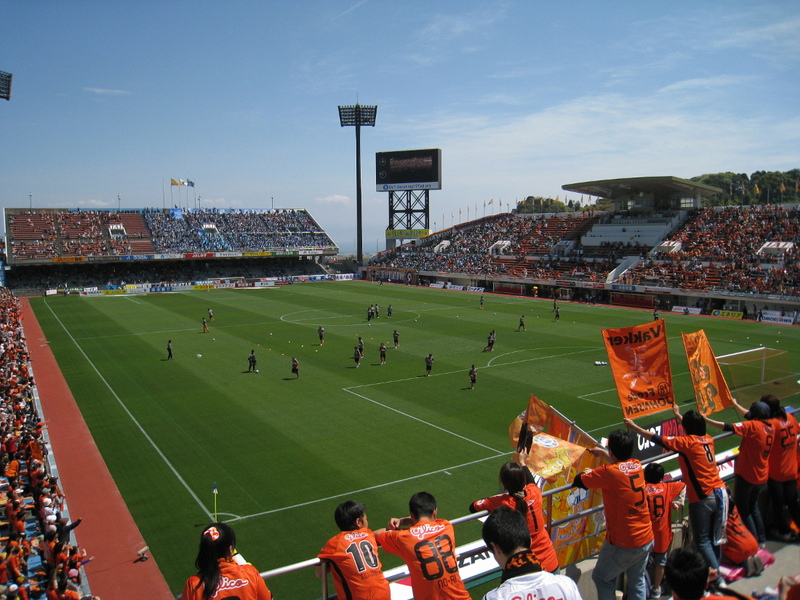 The stadium lies about 5 kilometres south from central Shimizu and Shimizu rail station, and about 12 kilometres east of central Shizuoka. On matchdays, shuttle buses run from Shimizu rail station to IAI Stadium from 3 hours before the match until 45 minutes after the match. The journey takes about 20 minutes. On non-matchdays, there are plenty of buses that run along one of Shimizu’s main avenues a 10-minute walk away from the stadium, including the 236, 224, and 260. Shimizu rail station is on the Tokaido Main Line, which is serviced by JR Central. It is, however, not on the Tokaido Shinkansen. The nearest Shinkansen station is Shizuoka, where you can change to a regional train to Shimizu. Trains between Shizuoka and Shimizu run very frequently and the journey only takes a little over 10 minutes. If coming from Fuji in the north, you can also take a direct train to Shimizu, however from Shin-Fuji Shinkansen station a change at Shizuoka is required. Tickets for Shimizu S-Pulse games can be bought online through the J-League portal, Ticket Pia, Seven Ticket, Lawson Ticket, or Eplus. Tickets can also be bought in person at various S-Pulse stores across the region, of which the ones at 静岡市清水区港町2-7-20 in Shimizu and the one at 静岡市葵区相生町12-18 in Shizuoka are located most central, though neither exactly in the centre. Otherwise tickets can be bought at the self-service ticket vending machines at any 7Eleven, Family Mart, Lawson, Pia, Circle K, Sunkus, Ministop, or Eplus convenience store. If still available, and this is for most matches the case, tickets can also be bought at the ticket booths of the stadium on the day of the match. Ticket prices range from Y$2,500 for a second-tier unreserved seat behind the goal to Y$6,300 for the central seats at the sides. Tickets are Y$500 more expensive if bought on the day. Shimizu S-Pulse occasionally play a high profile match, e.g. 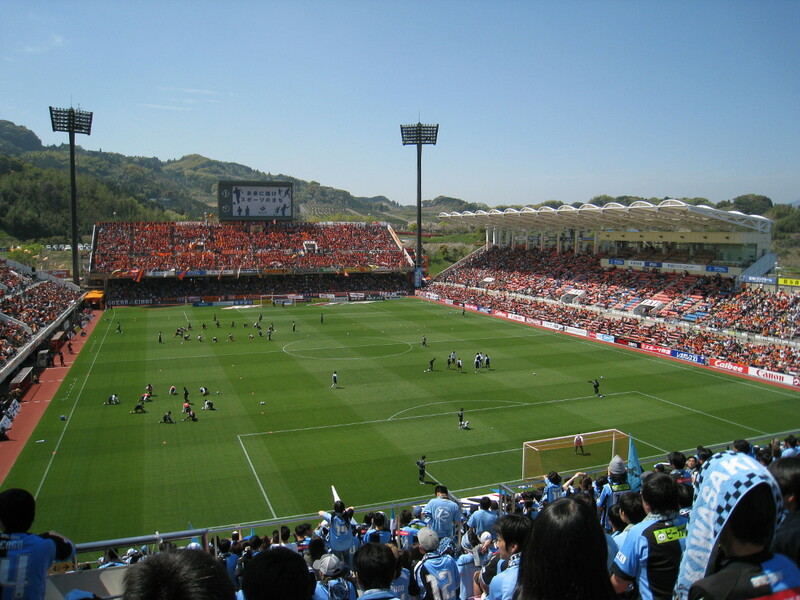 the derby versus Jubilo Iwata, at Shizuoka Stadium ECOPA, which is located about 50 kilometres west of Shizuoka. S-pulse.co.jp – Official website of Shimizu S-Pulse. Visit-shizuoka.com – Shizuoka tourist information.